Longtime comedy director John Hughes died on Thursday in New York City. He was 59. Hughes, who helmed such comedy classics as Ferris Bueller's Day Off, The Breakfast Club, Pretty in Pink, Sixteen Candles and also wrote and produced the hugely successful Home Alone movies, suffered a fatal heart attack during a walk in New York City, according to TMZ.com. The highly influential Hughes hadn�t directed a film since 1991�s Curly Sue, but he continued working behind the scenes over the years, most recently co-writing 2008�s Drillbit Taylor. 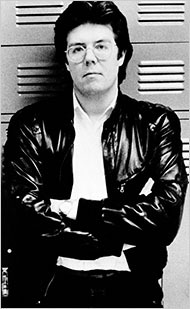 John Hughes, Jr. (February 18, 1950 � August 6, 2009) was an American film director, producer and writer. He made some of the most successful comedy films of the 1980s and 1990s, including National Lampoon's Vacation; Ferris Bueller's Day Off; Weird Science; The Breakfast Club; Some Kind of Wonderful; Sixteen Candles; Pretty in Pink; Planes, Trains and Automobiles; Uncle Buck; Home Alone and its sequel Home Alone 2: Lost in New York. Hughes was born in Lansing, Michigan, to a mother who volunteered in charity work and John Hughes, Sr., who worked in sales. A 1968 graduate of Glenbrook North High School in Northbrook, Illinois, Hughes used Northbrook and the adjacent North Shore area for shooting locations and settings in many of his films, though he usually left the name of the town unsaid, or referred to it as "Shermer, Illinois", Shermerville being the original name of Northbrook. In high school, he met Nancy Ludwig, to whom he was married from 1970 until his death. They had two sons, John Hughes III, born in 1976, and James Hughes, born in 1979. Hughes died suddenly of a heart attack on August 6, 2009, while walking in Manhattan, where he was visiting his family. In addition to his widow and sons, Hughes is survived by four grandchildren.